ItemBARK_C-09555_PHO2494 - Three unidentified Chinese men channeling flood water in Barkerville; circa 1890. 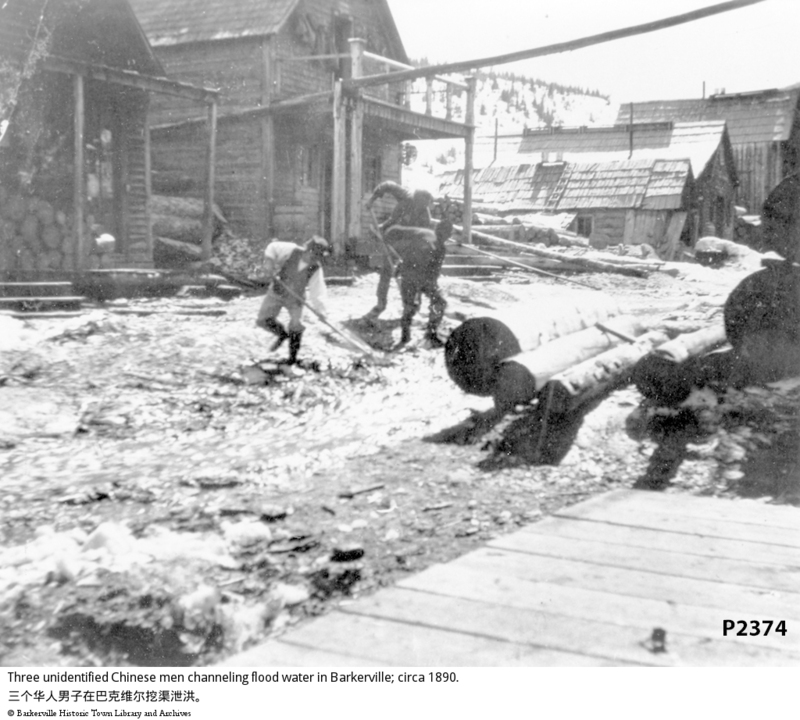 Item BARK_C-09555_PHO2494 - Three unidentified Chinese men channeling flood water in Barkerville; circa 1890. Three men, most likely to be Chinese, outside of what appears to be the original Lung Duck Tong building in Barkerville. They appear to be dealing with a flood, as there is water rushing down the middle of the street and they are moving debris around with poles.